Marty founded AKF Partners with Mike Fisher and Tom Keeven in 2007. He was formerly the COO of Quigo, an advertising technology startup sold to AOL, and the SVP/CTO of eBay during its growth from start up to a Fortune 500 company. 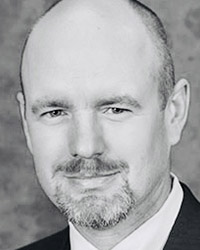 Prior to eBay, Marty held domestic and international engineering, management and executive positions at Gateway and Motorola. He spent a total of 12 years on active and reserve duty as an officer in the US Army. Marty has a Doctor of Management from Case Western Reserve University, an MS in Computer Engineering from the University of Florida, a BS in Computer Science from the United States Military Academy (West Point) and is a graduate of the Harvard Business School’s Executive Education Program (Program for Management Development). Marty has served on the Board of Directors of a number of public and private companies including Bullhorn, a company sold to Vista Equity Partners in June of 2012. He is the co-author of two books with Mike Fisher (The Art of Scalability and Scalability Rules) translated to 5 languages including English and a third book (The Power of Customer Misbehavior) co-authored with Mike Fisher and Kalle Lyytinen. Marty’s issued and pending patents range from authentication of electronic documents to the automated optimization of content, products and advertising based on aesthetic attributes. Marty is the recipient of the highest award given by the Director of the USSS to non Secret Service employees.